Rickettsia africae is a species of Rickettsia . Rickettsia australis is a bacterium that causes a medical condition called Queensland tick typhus. The probable vectors are the tick species, Ixodes holocyclus and Ixodes tasmani. Small marsupials are suspected reservoirs of this bacterium. Rickettsia sibirica is a species of Rickettsia. 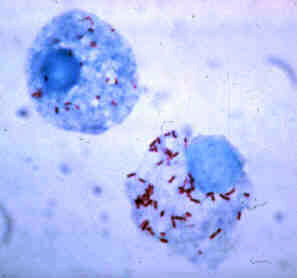 This bacterium is the etiologic agent of North Asian tick typhus, which is also known as Siberian tick typhus. The ticks that transmit it are primarily various species of Dermacentor and Haemaphysalis. 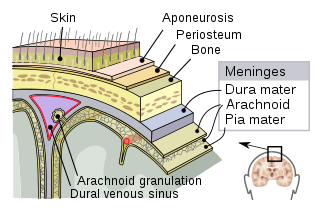 Rickettsia heilongjiangensis is a species of gram negative Alphaproteobacteria, within the spotted fever group, being carried by ticks. It is pathogenic. Liposcelis is a genus of insects in the order Psocoptera, the booklice and barklice. There are about 126 species. Many species are associated with human habitation and several are well known as pests of stored products. The genus is distributed nearly worldwide. ↑ Fournier PE, El Karkouri K, Leroy Q, et al. (2009). "Analysis of the Rickettsia africae genome reveals that virulence acquisition in Rickettsia species may be explained by genome reduction". BMC Genomics. 10: 166. doi:10.1186/1471-2164-10-166. PMC 2694212   . PMID 19379498.